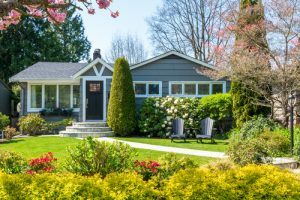 Landscaping features too close to the house – Having bushes and flowers next to the house might seem aesthetically pleasing, but it also means that insects, such as termites and carpenter ants, will have an easier time getting into your home. Trees are too close to the house – If any trees on the property seem like they are too close to the house — or if any of its branches reach too close to the roof — take note. If any branches were to break off during a storm, they could cause serious damage to your roof or siding. The landscape slopes down to the house – If you notice that the ground slopes down towards the house, it’s a bad sign. It means that rainwater is more likely to gather near the foundation, where it could cause serious water damage and where it could potentially leak into the house. Too many landscape features – You might be impressed by the amount of features that a landscape has, from the flowers and bushes to the gardens and water features, but remember — the more features a landscape has, the more work is required to maintain the landscape. These are a few things that you should look for when evaluating the landscape of a property. How well was the house maintained? – Ask for maintenance and repair records from the owner. If the owner regularly got the house inspected and invested in repairs when needed, it means that it was well taken care of and problems are less likely to arise in the future. How old are the systems and appliances? – Ask about the age of the HVAC system and its components as well as about the age of different appliances, including the oven, dishwasher, washer and dryer, etc. The older these are, the greater the odds are that you will have to pay to have them replaced soon. How old is the roof? – Replacing the roof can be a huge expense. If the roof is older, then it may be reaching the end of its expected lifespan. You may not want to buy a house that is going to require such a big investment so soon. Is there a need for repairs or renovations? – Owners are required to disclose any issues, so keep in mind any major repair costs. Also, keep in mind the cost of any renovations you may want to do. How is the neighborhood? – What other homes in the area have sold for, whether there are schools or parks nearby, the local crime rate, and other factors affect the value of a home. Knowing these will help put the value of the house you are looking at in perspective. Ask these questions to better assess the value of the house before you buy. Above all, enlisting the help of a local real estate agent can give you insight as to what the market value of the home really is and give you an inside edge. 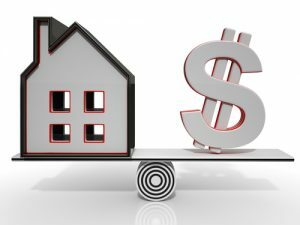 Conventional loans – Most banks offer conventional mortgage loans to buyers, but it’s important to shop around and compare terms. However, you will likely have to pay mortgage insurance if you don’t put down a 20 percent down payment. The terms will depend heavily on your credit history as well. FHA loans – FHA (Federal Housing Administration) loans were established as a way to help first-time homebuyers. Because they are backed by the federal government, they offer better rates than most traditional home loans, require smaller down payments and are easy to qualify for. Home builder and developer financing – Builders will often offer terms that are below market rates and that are more favorable than bank loans. Some builders will even sweeten the deal by offering 95 percent financing, payment of closing costs, cash incentives, deferred mortgage payments and more. VA loans – If you are or were a veteran, then you may qualify for a VA loan, which offers 100 percent financing with no down payment or mortgage insurance requirements. While there are many home financing options available to you, it’s important that you figure out your budget first before you decide to apply. Remember, just because you qualify for a certain amount, doesn’t mean you can afford it. Once you’ve decided to buy a home, there’s no doubt that you’ll want to start househunting right away. However, you should slow down just a little bit. Before you dive into the homebuying process, the first thing that you should do on your home buying checklist is to get pre-approved for a mortgage. One of the first things you’re going to do when you decide to buy a house is to figure out what your financial situation is so that you can determine a budget. Otherwise, how will you know what price range to look in? However, the absolute last thing you’ll want to do is find the house of your dreams only to find out that you don’t qualify for the amount you need when you finally apply for a mortgage. Not only will you be unable to buy the house you want, but you’ve just wasted a significant amount of time looking at houses that may have never been in your price range to begin with. 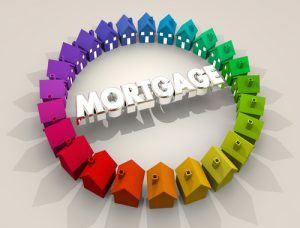 To avoid this issue, you should get a mortgage pre-approval before you begin looking at houses. A pre-approval is a written commitment provided by your lender. Not only will you have a figure that you can use as your budget, but a pre-approval can come in handy when negotiating with sellers since they prove that your loan approval won’t fall through. 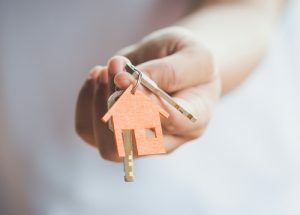 To get a mortgage pre-approval, you’ll need to provide your tax returns, prove that you are employed, provide your bank statements, and have a solid credit history. For the mortgage to be secured following pre-approval, an appraisal has to be done of the property. You’ll do a final walkthrough – Usually, you’ll do a final walkthrough 24 hours before the date of the closing to make sure everything is in order. A final walkthrough is necessary to make sure no problems have popped up. You’ll meet with a group of people – Expect a small group of people to be present at the closing, including the seller, their real estate agent, your real estate agent, their attorney, your attorney, a title company representative, and a representative of your bank or lender. You’ll need to bring paperwork – As the buyer, you will be required to bring a copy of the contract, home inspection reports, proof of homeowner’s insurance and a government-issued photo ID. You’ll need to bring your down payment – Find out before the date of the closing how you should pay. You may be able to perform a wire transfer ahead of time. In some cases, you may need to get a cashier’s check. You’ll need to pay several fees – Bring your checkbook because you’ll need to pay several different fees, including title search fees, loan origination fees, appraisal fees and more. 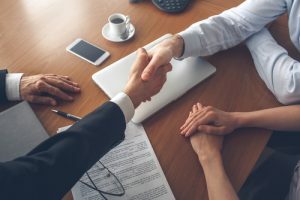 You’ll need to sign documents – One of the reasons your lawyer should be present is because you’ll need to sign numerous documents to make the purchase official. Hire a reputable professional – Not all home inspectors are legitimate. 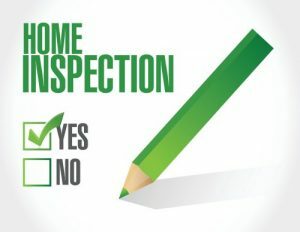 Make sure that when you look for a professional home inspector that they are fully licensed to perform inspections within the state. You should be able to look up customer reviews as well. You should also find out how long they have been working as an inspector and what they did before. It’s usually a good sign if they used to be a contractor or builder. Be present at the inspection – Make sure that you go through the home inspection with the inspector. This will allow the inspector to explain what issues they are looking for, what kind of issues they’ve found and how problematic those issues are. While all of this will be included in the final report, it will be easier to understand if you’re told in person. Being there will also allow you to ask questions on the spot. Use your seller’s disclosure statement – Sellers are required to disclose everything that they know about the house. Provide the inspector with this statement. They’ll be able to look at known issues to see how bad they really are and to determine if there are other related problems. These are just a few tips that you should keep in mind when scheduling a professional home inspection.